A mental health care plan can help you access services to support your mental wellbeing. If you are experiencing issues or concerns about your mental wellbeing, you might be eligible for a mental health care plan which can help you get appropriate support and treatment. A mental health care plan is a plan your doctor writes with you about treating a mental health condition. It helps you to access eligible allied health professionals like psychologists, social workers or occupational therapists who can help you to get better and live well. A mental health care plan can be useful for people with minor mental health conditions or very serious conditions, short-term concerns or long-term illnesses. You don’t already have to be diagnosed with a mental health condition to talk to your doctor about making a mental health care plan. How can a mental health care plan help me? A mental health care plan can help you in a number of ways. Creating a mental health care plan gives you and your doctor the opportunity to formally outline how you’ve been feeling, what your needs are and what results you would like. It also gives your doctor an opportunity to refer you on to an appropriate treatment or support service. Having a mental health care plan makes appointments with eligible allied health professionals more affordable. If you have a mental health care plan, you are entitled to a Medicare rebate on up to 10 individual sessions or group appointments with a psychologist, social worker or occupational therapist in a calendar year. After 6 sessions, you will return to your doctor to revisit how your treatment is going, and then if needed, can access the next 4 sessions. How do I know if a mental health care plan is for me? Signs that you are experiencing a mental health condition can be very varied, and probably won’t look the way that ‘mentally illness’ is often portrayed on TV, in movies or in books. A mental health condition might feel very overwhelming, or it might present as a more subtle feeling that something is wrong. If you’ve been experiencing a mental health condition for a long time, the symptoms might just feel like ‘normal life’, even if you suspect that other people might feel calmer, happier or less stressed. Your mental health might have reached a ‘crisis’ point where symptoms are so bad you can’t ignore them, but you don’t have to wait for your symptoms to become this serious before you see your doctor. If you think something is not right, it’s always worth talking to your doctor about it. A mental health care plan needs to be created by your doctor. You can visit your regular GP, or if you don’t have a doctor you normally see, any GP can create a mental health care plan for you. Creating a plan can take a little longer than a normal appointment, so it can help to ask for a longer or double appointment when you make your booking. Tell your doctor what your concerns about your mental health are and that you are interested in creating a mental health care plan. Your doctor will need to diagnose you with a mental health condition to create the plan, so they will ask you questions about what’s been happening and how you’ve been feeling. They will ask you to fill out a form called a K10 form, which is a simple checklist that measures if and how you’ve been affected by anxiety or depression recently. They will then talk with you about your goals for how you’d like to feel and write a referral outlining how your health has been that you will need to give to the treatment service you attend. Your doctor can refer you to a service in the area, or, if you want you can research before you go to the doctor what service you might like to use. beyondbluehave a national directory you can use to find a service in your area. What if I’m scared about talking about my mental health? It’s OK to be nervous before you talk to your doctor about your mental health, particularly if this is a topic you don’t talk much about with anyone in your life. It’s important to know that having a mental health condition doesn’t make you strange, ‘crazy’ or scary, nor does it indicate that you are a bad person, that you are weak or that you haven’t looked after yourself properly. It just means that right now, you are experiencing an illness. According to the statistics, it’s actually very normal to experience a mental health condition, just like it’s normal to catch a cold or sprain your ankle. About one in five Australians aged 16-85 experience a mental health condition in any year, and nearly half of us will experience a mental health condition at some point in our lives. The most common mental health conditions in Australia are anxiety, depression and substance abuse disorder. Remember that your doctor is trained to assist you with your mental health, just like they know how to help you look after your physical health, and mental health is something that they help patients with all the time. Even if you’re nervous, it’s still important to speak with your doctor so that you can get appropriate help. 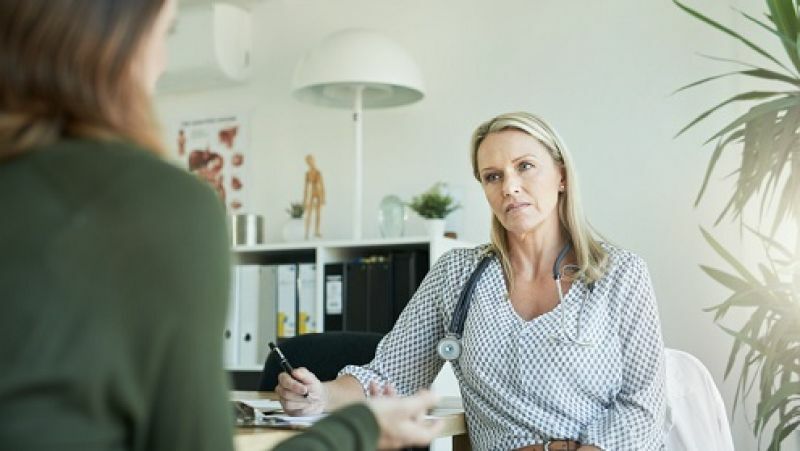 In fact, if coming to see your doctor has made you feel anxious, that’s a really good thing to tell them when you get there, because it might give them some insight into how your mental health is affecting you. If you’re feeling nervous, you might find that it helps to talk about how you’re feeling with a trusted family member, friend or colleague before you go to the doctor. If you’d prefer to talk to someone who doesn’t know you personally, you can use a support service like beyondblue’s helpline or online chat service. Or, you might like to try writing down all the things you’d like to tell your doctor so you feel prepared when you arrive. beyondblue forums: How should I approach my GP to ask for a mental health care plan?